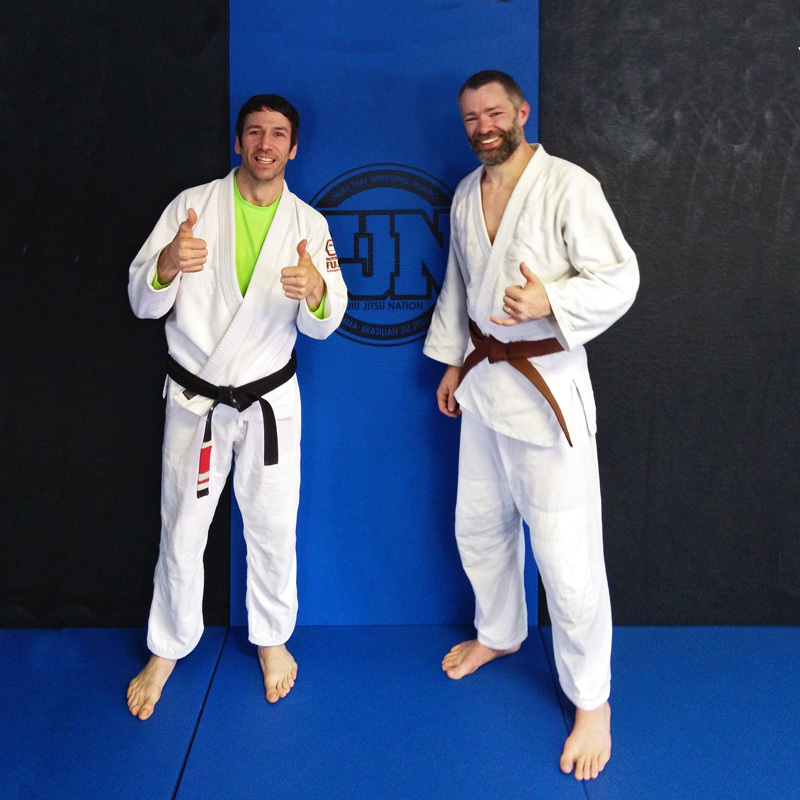 Last September, I had a laundry mishap, and turned my purple belt into a brown belt. I’m pleased to announce my purple belt has been retired, and I’ve earned a real brown belt. I think my black belt, Jordan Damon, has been watching too many creative promotion videos on Youtube. He maintained a facade of me getting the final stripe on my purple belt right up until he crumbled up the strip of tape and fished out a brown belt from the very back of his gi. He had carefully hidden it there so that nobody would see it, and I was the last person getting a promotion. Our academy custom is to have everybody drill technique from different positions with various goals for about 45 minutes, then we switch to live sparring. As the sparring goes on, the lower belts are pulled, and people who are testing for promotion are kept out. Major belt levels (blue, purple) are kept out, sparring with each other as well as fresh lower belts every thirty seconds to a minute. As the blue and purple belts candidates were cycled through, I remained out, until finally I was the only one who was having new people pushed out to. I wasn’t thinking that this was a lot of work for a stripe, I was thinking I need to survive and not get submitted, no matter how exhausted I was. Avoiding submission was the easy part, but getting back on top when people were starting with some form of top control was not. Suffice it to say that I was happy with small victories. To be honest, I would have been fine with another stripe, and at some point in the future getting my brown belt. I’m perfectly happy rolling with brown belts and black belts now, and the further I get into jiu-jitsu, the less interested I am in marking off my progress with stripes and belts. I’ve written about this before and having a brown belt now really doesn’t change anything from last week. I’m still going to go into the academy on Monday and teach the fundamentals class, and I’m still going to take classes just like I do any other week. I’ll still be studying jiu-jitsu in the evenings, and I’m still going to go to every seminar that looks like it’s going to help me. Don’t get me wrong, I’m proud of this achievement because it reflects years of effort and countless hours of time on and off the mat. A brown belt does not come easy. However, it’s just another step of my journey, and my long term goals are still ahead of me. I still have very much to do.